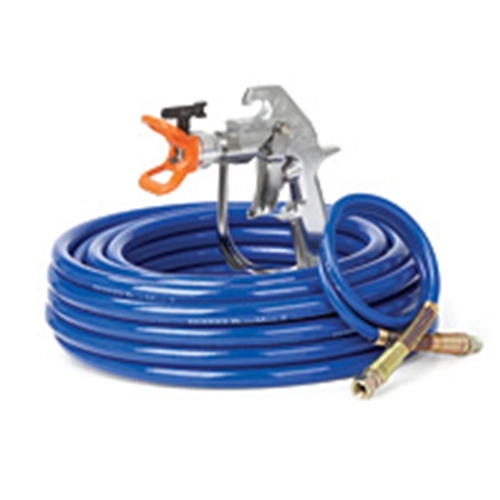 The Graco Series GH 300 Sprayer is a hydraulic airless sprayer, and is designed for high production contractors. Arguably one of the best Graco sprayers to have ever hit the market, the GH 300 is one of the most powerful hydraulic sprayers available and in use today. It can spray a wide range of materials, including acrylics, latex, elastomeric coatings, block fillers, drywall mud, primers and water-based and solvent-based paints. . The Graco GH 300 comes standard with a Graco ProConnect setup, which allows you to remove and replace the pump in seconds- which will save you valuable time, frustrations and money. Cooling fins on the high capacity cooling system directs the heat away from the sprayer, and refined technology prevents damage to the pump. 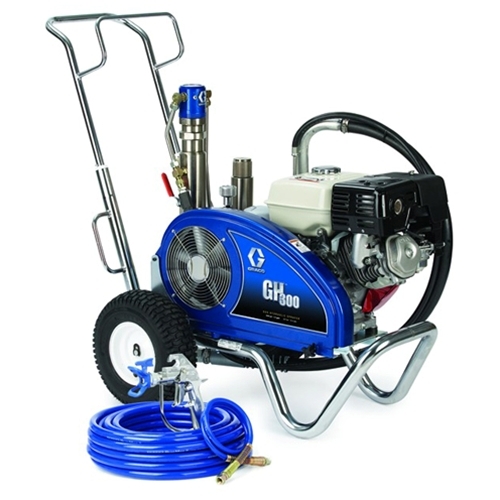 The Graco GH 300 is powered by a 270 cc Honda engine, with oil alert included standard. Order the GH300 Series Graco Sprayer at Intech Equipment, a Top 20 North American Graco Distributor. Shop all Graco Sprayers today! 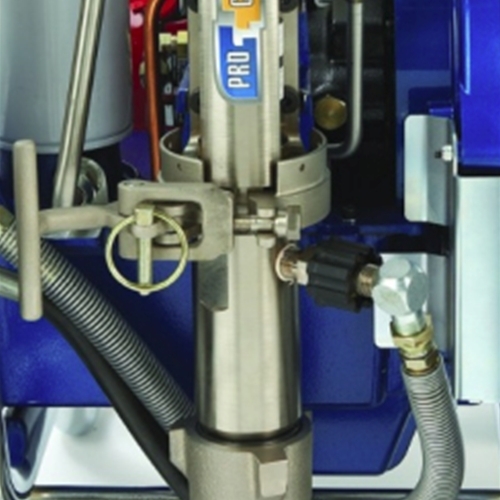 The Graco GH 300 gas hydraulic sprayer, powered by a Honda engine promising 3300 PSI and 3 GPM. Additional options available for heavy material contact your local rep.